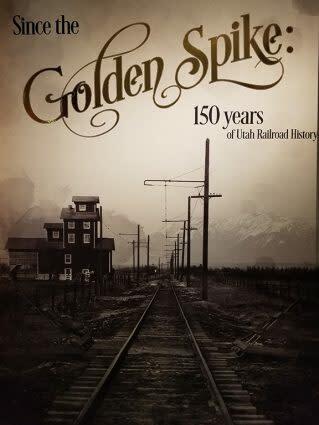 To commemorate the 150th anniversary of the completion of the transcontinental railroad, the L. Tom Perry Special Collections in the BYU Library have an exhibition titled Since the Golden Spike: 150 Year of Utah Railroad History.This exhibition explores the history of railroads in Utah from the driving of the Golden Spike to the present.The railroad had a major impact on Utah’s economy and allowed for advancements in various industries including: mining, agriculture, and steel production. Railroads also provided transportation for the first tourists to the region and had a significant impact on the national parks.In the twentieth century, major commuter and inter-urban systems, like those constructed by Simon Bamberger and Walter Orem, were essential for travel in towns and cities along the Wasatch front. 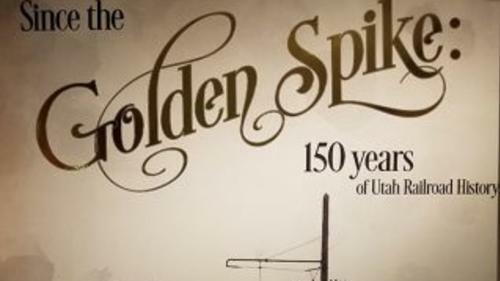 Today, with TRAX and Frontrunner rail travel is making a return to Utah’s valleys, proof that the impact and benefit of railroads is alive and well.The public is welcome and admission is free.The exhibition is open during regular hours for Special Collections.